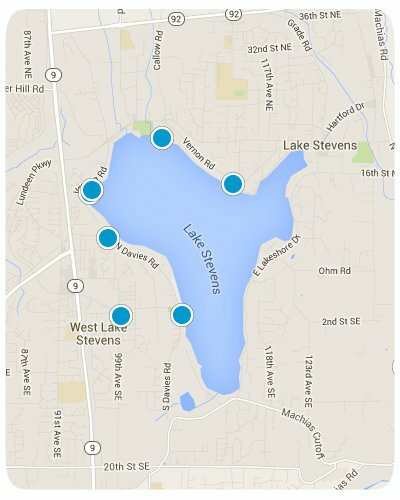 SearchHomesNW | Lake Stevens Real Estate-Easily Search The MLS For All Lake Stevens Homes and Condos For Sale. Lake Stevens is a city in Snohomish County named after the lake that it is built around. The lake remains the focal point of the greater Lake Stevens community. Lake Stevens provides a variety of recreational activities such as lake access, open spaces, parks, trails, & panoramic views of the Cascade Mountains. There are nearly 195 acres of parks, trails, and open space within or adjacent to the city available to Lake Stevens residents and visitors. Homes for sale in Lake Stevens vary: there are Condos For Sale In Lake Stevens, Town-Homes For Sale In Lake Stevens, and Single-Family Homes For Sale In Lake Stevens. There are also many New Homes For Sale In Lake Stevens and many under construction. Thank you for using SearchHomesNW.com to find 30% more listings than Zillow, Trulia, and Realtor.